If you’re the kind of person that is obsessed with fashion and who can’t wait to own all the latest trends and styles, the idea of having a small, capsule wardrobe might horrify you. For some, however, it’s a way of life, and in the wake of the huge popularity of Marie Kondo and her Netflix show about the magic of tidying up, many people are finding themselves compelled to raid their wardrobes and ask if each item brings them joy. A good clear out can be extremely therapeutic, however, once the job has been completed, it can leave you lacking those clothing essentials that are key for maintaining a stylish capsule wardrobe. In the spirit of spring cleaning, we have compiled our top 5 wardrobe essentials to take the stress out of outfit planning and help you keep your wardrobe, life and mind organised. These pieces are crucial cornerstones to a multitude of different looks and will help you get through any fashion occasion without breaking a sweat! In a climate as unpredictable as what we experience in the UK, having a jacket suitable for all weather is crucial all year round. It needs to be waterproof, durable and, above all, stylish. So what did we go for? 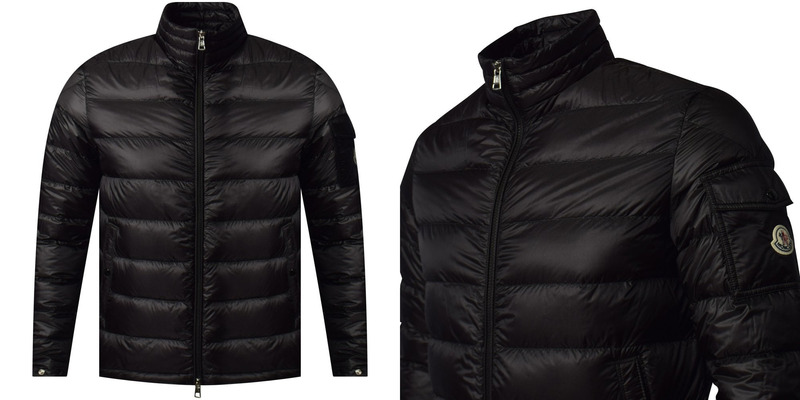 This stunning jet black jacket from Moncler is designed to be lightweight but still more than able to protect you should the weather take a bad turn. With a high collar and down and feather quilted interior, this jacket will keep you feeling toasty warm and looking totally on trend. The design is simple but timeless, ensuring this jacket will keep you going season after season. An essential addition to your wardrobe! A crisp, white shirt is a wardrobe staple and will no doubt be called upon time and time again for a number of different occasions. Weddings, work, christenings, you name it, you’ll wear it. But while white shirts can be extremely boring, we’ve chosen one that is sure to keep you interested no matter how many times it adorns your body. 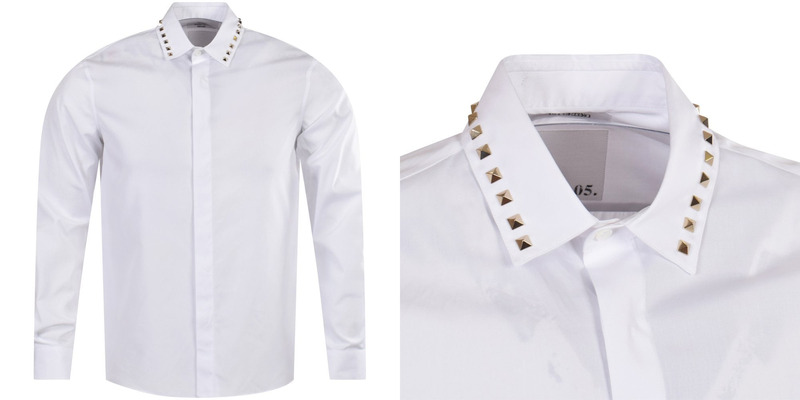 From Valentino, this shirt features rockstar gold studded detailing around the collar, giving the shirt a unique and stylish twist that’s not too overbearing. As such, this versatile shirt should definitely be added to your wardrobe as soon as possible! Every fashionable man knows that a good belt can make or break an outfit. Buy the right one and it can last you endless seasons. In that spirit. we think we’ve picked out the perfect piece that will truly become one of your essential wardrobe items. 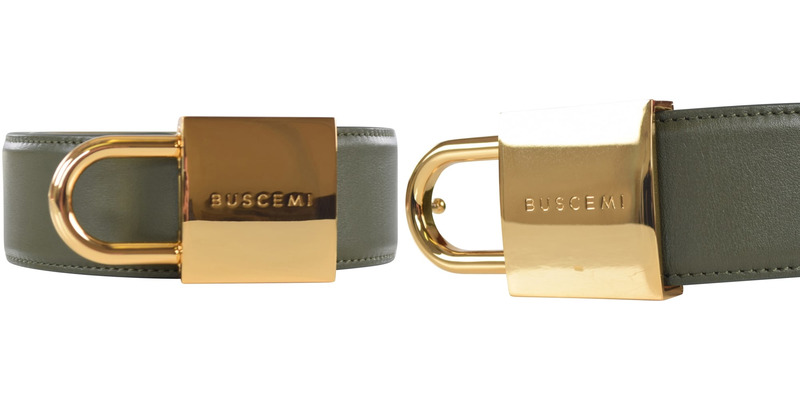 Crafted from on-trend olive green coloured leather with a, wait for it, REAL gold buckle, this stunning belt from Buscemi screams opulence and decadence and would be the perfect finishing touch to any outfit. This belt is so good, it could be the last one you ever buy! Whether you’re working long hours or attending a never-ending wedding, a decent pair of formal shoes is crucial. Nothing is worse than knowing you have a mountain of a day to climb but your feet are screaming with blisters and sores. Crafted from soft grained leather, and complete with an extra grippy sole and heel, these formal loafers from Thomas Finley tick all the boxes – style, durability and comfort. Look no further for your perfect new pair of formal shoes, just in time for wedding season! Phew! When it’s time to relax and wind down, nothing can beat the warm cosy feeling of a hoodie. They are the perfect casual attire, providing a practical and stylish way to pare down your look. Black goes with everything, so we have chosen the ultimate black hoodie to add to your collection. 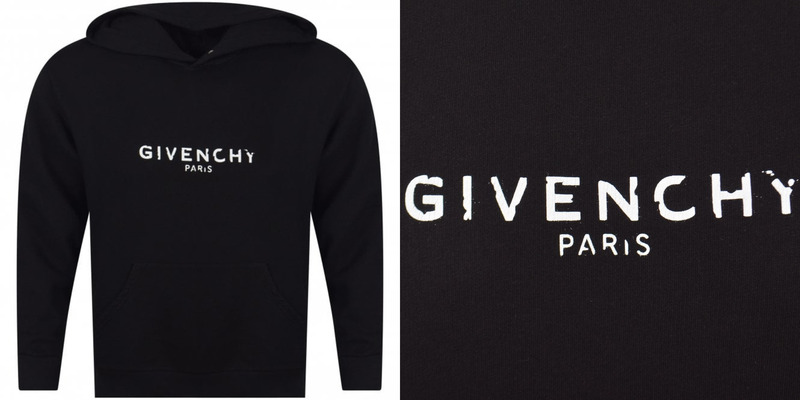 From Givenchy, this classic black cotton hoodie features the brand’s logo across the chest and a cool, cracked effect to the text. You can never go wrong with Givenchy, so even if you are chilling out, there’s no need to let anyone forget that you are a style God!